This Morning, all senior classes went to go and sit in the street. There were special visitors that were coming to talk to us about their education and how they made it into uni and how they got the job they are working for now. Their names were, Alfred, Jason, Arizona and Andrew. As soon as we started, we had to sing the waiata, Mihi Mai Ra. Mihi Mai Ra, is a waiata that welcomes people to our school. When the waiata finished, Andrew then stood up and started the speech. He then introduced the first speaker, Jason. Jason was talking about uni and how he teaches maths at Tamaki College. The words that stood out for me were “Don’t follow your friends. Do the things you love not the things your friends love. And make your parents proud” When he said that, I was thinking about my friends and me. When Jason said his final words, Alfred introduced the next speaker. The next speaker had a really cool job, he is a police man! His name is Alfred. Alfred was talking about, how he started with school and how he became a police man. The words he said that stood out for me was...”Be your self not others.” As soon as he swapped with the other speaker, everyone started clapping and cheering and said “Alfred is my favourite speaker for today!” But they hadn't heard the next speaker. The next speaker was 18 and she was the only girl that came with them. her name is Arizona. Arizona is Maori, Fijian, Samoan and Tongan. She just finished college from Epsom Girls Grammar and she also was head girl! So when she finished college she got a scholarship for communication. Now she goes to Auckland Uni and studies communication. Arizona was talking about, how she started in primary, how she became captain in intermediate and how she then became head girl for Epsom. Arizona was by far the best speaker for because she was really energetic and liked to play around a lot. 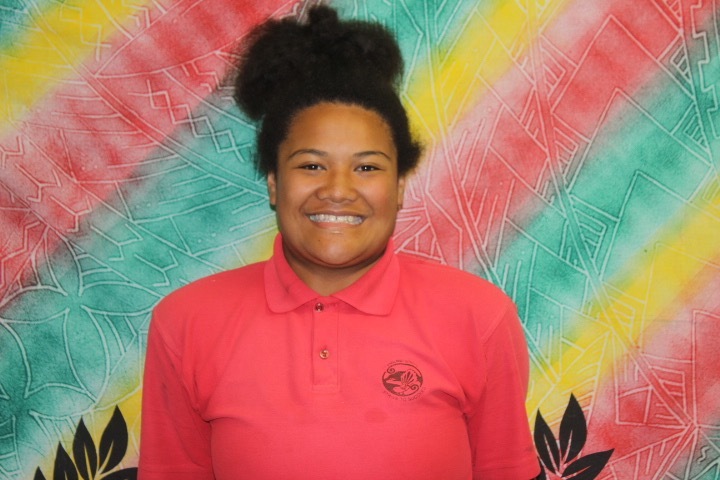 The words she said that stood out for me was "Tahi: Do Your Mahi, Dr Seuss poem: Today your are you that is truer than true there is no one alive that is yewer than you, San: have some fun, 4: knock down the door which means be confident and 5: strive to stay alive. They all really inspired me to do what I love and not what my friends love. My highlight was listening to Arizona. Here is a clip of Arizona say a speech at a exhibition in the Auckland Museum.